Fight Cancer Naturally, Harry did! When is the best time to take Precious Waters Immune System Booster Supplements? The simple answer is anytime that it is convenient and easy to remember so that consistency is established for long term benefit. Ideally, a short interval before your meal so that the solution can be absorbed and used by the body without potential dilution. How should I take a dose of Precious Waters? The Precious Waters solution has virtually no taste being a low 10ppm concentration of silver particles suspended in a pure water solution. Some individuals with reportedly extremely sensitive abilities of taste say that they can detect a slight metallic flavor. For maximum effect, it is recommended that the normal dosage be taken orally straight without dilution. Further, some customers report that by allowing the solution to linger and be “swished” around in their mouth for a period of time that bacteria associated with periodontal disease is attacked and that a greater chance of killing bacteria/viruses transmitted through the mouth is implemented. Certainly taking Precious Waters mixed in a small amount of water or say juice should have no impact on its effectiveness if that is what you prefer. How should I store the Precious Waters solution? 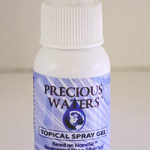 Precious Waters comes in convenient 8 oz. bottle for easy dosage dispensing. When storing, before opening and breaking the factory seal, it is best to keep the product away from heat and light as these environmental conditions, if sustained, may lessen the product’s effectiveness. The manufacturer suggests the product has a long shelf life, nominally 3 years, and thus it is ideal for inclusion in emergency preparation kits and the like. Once opened, Precious Waters suggests you store the remaining solution in a cool location away from bright light but this is a conservative approach and by no means mandatory as the silver solution can be left at ambient room conditions with no known ill effects to its usefulness, certainly if consumed in a reasonable period of time. If you are including several bottles of Precious Waters in an emergency kit, it is suggested that you occasionally replace these bottles (rotate) with fresh product as you use Precious Waters in your daily dietary supplement regimen. In summary, a silver solution can serve both the internal and topical needs of the individual as part of a restoring strategy and maintainer of health. It also can serve the family or the community through use as a disinfectant of water and microbe bearing surfaces or act as a component in a strategy to stop the spread of infectious diseases. Is Precious Waters’ 10ppm silver solution toxic? Our 10ppm silver solution with average silver particle size of less than 10 nm is non-toxic to humans and animals even at levels of ingestion that would be considered well beyond accidental overdose. The manufacturer for Precious Waters reports that it has had independent toxicity tests completed including tests in animals at as much as 200 times the normal adult dosage, or the equivalent of an adult consuming 32 full ounces of the 10ppm silver solution at one sitting. This would be the equivalent of someone drinking four 8 oz. bottles of Precious Waters at one time. Still, even at this extreme level, the test results revealed that the silver solution was completely non-toxic to the test animals. NOTE: the Precious Waters silver solution has been shown in tests performed for the manufacturer to be effective at killing bacteria at levels of between 2.5 – 5ppm. Taking excessively large amounts of the 10ppm solution, if you are simply using it as dietary supplement for health maintenance purposes, well beyond recommended daily supplement levels would appear to be wasteful and imprudent. Are there side effects of taking Precious Waters? What kind of reaction should be expected? Customers who have taken the silver solution supplement consistently over an extended period (several weeks and longer) have not reported nor observed any known negative effects. A few customers experience loose bowels and a mild fever when first starting the silver solution at aggressive dosages and thus it is recommended that customers starting to take the silver solution for the first time stay with the recommended dosage level and build from there. 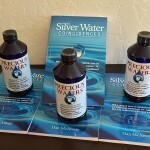 Will silver buildup in my body if I take Precious Waters for an extended time? According to the EPA Integrated Risk Information Systems Report on silver, a number of tests were completed to test the absorption and retention of ingested silver in a number of animals (including primates). The test work indicates that between 90-99% of ingested silver was excreted on the second day after ingestion and greater than 99% was excreted in less than a week. The conclusion from this data indicates that silver does not build up in the system when consumed in small amounts. 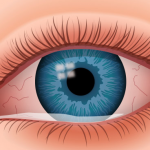 One hypothesis is that the suspended silver particles of Precious Waters are so small that they readily pass in and out of the body’s cells assisting the immune system as needed but not accumulating or attaching themselves to anything. See FAQ concerning Argyria. Silver is a metal and aren’t metals toxic to the body? Metals, like any element, can be toxic at certain quantities and in certain forms. Often an element may be in a form or combination (such as a salt) that is toxic to humans and animals or the element may be of such size that the body can not eliminate it (such as common environmental lead) and therefore it builds up in organs until it becomes toxic. It is well known that even some vitamins that many of us take each day without thought, when taken to excess, will cause negative or toxic effects to the body. Look at the Supplement Facts box on your vitamin bottle and you will likely find a number of elements listed including magnesium, zinc, cooper, manganese, chromium, nickel and molybdenum as well as many vitamins that if taken individually to excess could lead to problems. 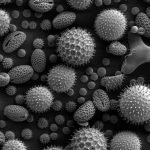 Individual silver particles, like some other metals, are positively charged and it is theorized that this charge is what gives silver the killing power over bacteria, viruses and fungi. The trick then becomes how to deliver silver particles in a size and delivery form that maximizes its beneficial lethality to bacteria, etc. while remaining benign to other elements and systems of the body. Precious Waters’ 10ppm silver solution is manufactured with a patent-pending technology engineered to contain consistently uniform nano-sized silver particles suspended in pure water. The consistently sized nano-scale particles are of a size that the body’s cells can readily take up, use and excrete. The pure silver particles, suspended in pure water, form a hydrosol that can quickly augment and support the immune system elements of the body. How much Precious Waters solution should I take? Results will no doubt vary by person depending on size, age, physical condition, etc. It is suggested that all persons starting a regimen of Precious Waters’ silver solution to be taken orally start out at the recommended daily dosage of 1 or 2 teaspoons per day as a dietary supplement just as one might take a vitamin tablet. Customers who take this level on a daily basis for an ongoing period report no negative side effects and more often report both a general feeling of well being and a reduction in the incidence of common nuisance illnesses such as colds, sore throats, etc. 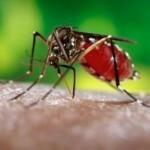 As reported elsewhere here, a small percentage of people have experienced mild symptoms of loose bowels (diarrhea) and low grade fever upon first taking the silver solution which goes away within a few days. Discontinue taking the product for a few days if this becomes a concern to you or these symptoms persist. As reported elsewhere here the silver particles will pass out of the body in a matter of days. Customers who have experienced external wounds such as cuts, abrasions, burns, and bruises have reported relief and accelerated healing by introducing the Precious Waters solution directly to the affected area externally either by directly pouring the solution on the wound or soaking a cloth/swab, etc. in Precious Waters and then applying it to the wound (we also offer a 20ppm Topical Spray Gel for convenience in dealing with external wounds). Customers who have serious afflictions such as chronic diseases, antibiotic resistant infections, illnesses that appear to be unresponsive to other therapies, and/or are recovering from surgery/immune compromising therapies and used the silver solution as a supplement to ward off infection report often dramatic results with aggressive dosages of the 10ppm solution. Customers who have been in such situations report that after starting for several days at the recommended dosage level, they increased the doses gradually to as much as an ounce three times a day for several days followed by a tapering off back to an ounce or less once a day. (NOTE: This level of 1 ounce of solution daily is still within EPA safe drinking water standards for silver if consumed at such a rate over a lifetime). Can I take the silver solution while I continue Antibiotics and other treatment therapies? We cannot advise on such since the matter of your personal treatment regimen should be based solely on informed decisions by you in concert with your doctor/healthcare provider. Tests however have shown that taking silver coincidentally with antibiotics increases the overall effectiveness of treatment. We at Precious Waters believe that taking the silver solution as a dietary supplement with the intention of supporting the body’s natural immune system functions should not interfere with other treatments or therapies any more than continuing to take daily vitamins or other supplements. Practical considerations suggest that silver is a successful agent in aiding the immune system in killing/fighting unwanted bacteria, virus and fungal disease agents. Since most treatment therapies are chemical or even radiation based, it would seem that silver would not interfere in the function of the other treatments and in fact may work synergistically to support the overall success of a treatment. Further, we would offer the suggestion that many therapies today are somewhat indiscriminate in their actions against a particular disease or injury agent and as such compromise the overall functioning of the immune system leaving the body vulnerable to opportunistic diseases and antibiotic resistant strains. Here again silver could prove to be an aid in supporting both the immune system and supplementing the therapy treatment. 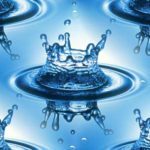 How does Precious Waters’ silver solution work? We at Precious Waters are neither scientists nor medical professionals steeped in the understanding of biological inner workings of the body at the cellular and molecular level. 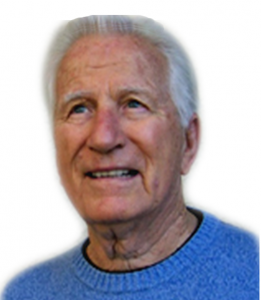 We are practical people who have witnessed firsthand the benefits of a 10ppm silver solution taken as a dietary supplement and this has motivated us to share this experience and opportunity with others. We can only answer this question by repeating what others have theorized. A prevailing theory seen in the literature has to do with the natural positive electrical charge associated with silver which appears to overwhelm bacteria and other microbial agents. The charge difference can be so great that evidently silver placed in proximity to bacteria will literally attract the bacteria and overwhelm it thereby disrupting/disabling its functioning. In lay terms it might be said to “zap” the offending microbe. Some have suggested that this occurs when the silver pulls an electron from bacteria’s molecules. Another theory seen in the literature suggests that silver emits a radiation in the ultra violet spectrum which is also known to kill many microbes. Whatever mechanism is actually doing the work for silver, it appears to be a powerful agent for our overall health benefit. Why does Precious Waters’ solution appear to aid in vanquishing a broad array of seemingly unrelated afflictions? We are, as with the question of how the silver solution works, not medical professionals or health care practitioners and cannot honestly answer this question with any authority other than practical experience and observational curiosity. While it is pure speculation on our part, we would champion the theory that many diseases and illnesses that we all must contend with are microbial (bacteria, viral, and fugal) based and/or propagate and grow through mechanisms that are microbial in nature. Recent news articles suggest that prostate cancer is connected with a specific virus and a Roman physician has long advanced the idea and successfully treated breast cancer on the theory that a common fungus is the root cause or agent in the disease. Using silver to root out infectious bacteria in an open wound or following an intrusion into the body would seem straightforward. Removal or containment of the opportunistic pathogens to sub-critical threshold levels would accelerate the healing process by allowing the skin, a living organ, to more rapidly repair itself without interference of fluids or other disruptive elements that often form as part of the immune response process. A silver solution can be used in such a situation both internally to support the cells surrounding the wound and nourished through the blood system and externally to disinfect the wound area and head off opportunistic microbes from establishing a foothold. More complex and scientific descriptions would be needed to explain how silver can support the remission of cancers or other afflictions but undoubtedly it too would involve silvers’ lethality to microbes which may be playing a direct or indirect roll in the affliction’s growth. What afflictions will the Precious Waters silver solution affect? There are websites on the internet for silver that claim a very large and comprehensive list of diseases and afflictions that can be treated or affected by silver. We at Precious Waters are conservative and will only mention those ailments that we or our customers have firsthand experience with and some of these can be noted by reading the Customer Experience section of this website. Precious Waters will not make claims that our silver solution is the magic bullet that cures all diseases and we would take issue with those who might. 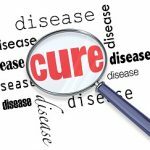 A particular disease or affliction is likely a complex tangle of interrelated cause and effect components that relate to the individual, the conditions that surround them and the treatment or lack thereof to date. Putting a particular disease in remission and holding it there or possibly eliminating it all together is also multi-faceted and involves, diet, psychological and physiological states of the patient, as well as management of the treatment strategies. Empirical evidence however, some of which is related in the Customer Experience section, would suggest that silver can play a very large role in eliminating the underlying causes of an affliction, particularly if they are microbial based. Even if microbial activities are not suspected or expected as a underlying cause or growth of a disease, certainly testing the strategy with several bottles of Precious Waters is an inexpensive and cost effective strategy and would likely ensure that other therapies are not being compromised because of opportunistic disease causing organisms have weakened the body to the point of defeating the overall recovery strategy. Can Precious Waters benefit my pets? Many pets and working animals suffer from the same microbial based diseases as humans and it would stand to reason that prevention or elimination of afflictions caused by bacteria, viruses, funguses, and parasites using a silver solution would be a practical form of therapy. Many of Precious Waters’ customers have seen dramatic recovery of their pets health when their Vet has offered little help. Certainly the research and test reports proving the safety of a 10ppm silver solution cited elsewhere on this website would argue that Precious Waters’ solution can be given to animals with no expected ill effects. Safety studies gave test animals 200 times the normal adult dosage and the independent testing labs concluded even at this high dosage, the silver solution was completely non-toxic to the test animals.